Some choose to view change as a progressive opportunity in their life while others sadly fight against it as they bemoan the exodus from their comfort zone. That’s so unfortunate because, in my experience, the most growth gained comes outside our cozy bubbles of habit and complacency. When it comes to change in motorcycles it’s no different. The staunch purists love the old school looks and carbureted engines. They struggle to bring themselves to consider what a machine with traction control, electronic engine management, and ABS could offer them. I do see where they’re coming from because I also appreciate the bikes of yesteryear from pioneering manufacturers with their tradition-steeped styling. It’s what got us to where we are today after all. Having said that, new bikes are now equipped with stunning technology and features which not only help keep riders safer and more comfortable, but also potentially make better riders when you get down to it. One invention in particular being the automatic or semi-auto transmission. When the Hydra-Matic transmission was introduced in cars back in 1940 as the first widely available, reliable automatic it was incredibly popular and ushered in the automotive reality we enjoy today. These days it can be a challenge to find a brand new standard transmission equipped car, but for bikes we haven’t seen that kind of demand… yet. For beginning riders learning to manage clutching, braking, and shifting using both hands and feet it can often feel very confusing and frustrating. It can slow down the learning curve for many people and even scare some off entirely, which is unfortunate and unnecessary thanks to technology. There are some excellent beginner-friendly motorcycles on the market now that aren’t equipped with traditional transmissions. I’ll be talking about a few of them in this article. Believe me when I say that if you try one of these machines out they will quickly convert you to appreciate their benefits. Let’s go back in time to the late 1970s for a few minutes and visit the Honda CM400A. The A stands for automatic transmission even though there still is a foot shifter on the bike the rider uses to shift from neutral to low/high gear as required. I suppose this makes it more “semi-auto”. As is often the case with Honda, they were well ahead of their time with the innovation of the first clutchless motorcycle in the 400’s big brother the 1976 CB750A. The appeal just wasn’t there for an automatic 750cc bike at that time, but rather than abandon the Hondamatic transmission altogether, Honda instead downsized to a 398cc inline twin engine in 1978 with the CM400A. If experienced riders weren’t interested in an automatic their new hope was to appeal to beginner riders instead. Having very manageable power, light weight, low seat height and of course no clutch lever to fight with, it’s actually the perfect beginner motorcycle for just about anyone. Quite a few of them did sell, but people only kept them for a little while before they decided to move up to larger bikes. 1983 was the last year for the Hondamatics. The 400’s power is predominantly considered too tame for experienced riders and so it’s not that hard to find these bikes on the used market in 2017 with low mileage and in decent condition even at almost 40 years old. They sell for quite cheap and according to owners I’ve spoken to and everything I’ve read are very reliable indeed as per Honda standards. They use a vane pump system to send pressurized oil (when in gear and the rpms increase) through a small torque converter and thus connect power from the engine to the transmission. There’s no physical link between the two otherwise- it’s only fluid coupling supplying the connection until the rpm of the engine falls off and the bonding ends. For this reason these bikes have parking brakes and kickstarters on them. You need the brake because the bike will roll freely when the throttle is closed whether it’s running or not. This also means you can’t bump start these bikes so the kickstarter is “starter insurance”. The engine and transmission use the same oil supply, and as such the oil needs to be changed every 1875 miles due to high heat and stress from protecting engine and transmission parts. You may be able to get better performance from modern synthetic oils and stretch that out. The display has a gear position indicator for neutral and first and second gear to help the rider know where they are. All in all, if you’re after a reliable bike to start learning on with legitimate retro looks and simple technology this one is a strong contender to look at. Fast forward almost 40 years and Honda is at it again with a much more modern design of automatic over the CM400A in this bike. They just refuse to let go of the automatic bike idea. I seriously think someone at Honda has a crystal ball allowing them to see the future of motorcycle design, but it doesn’t tell them when that future they’re seeing is to be experienced. So they just keep throwing futuristic tech at the market every so often to see if it catches on. Maybe they’re aliens? 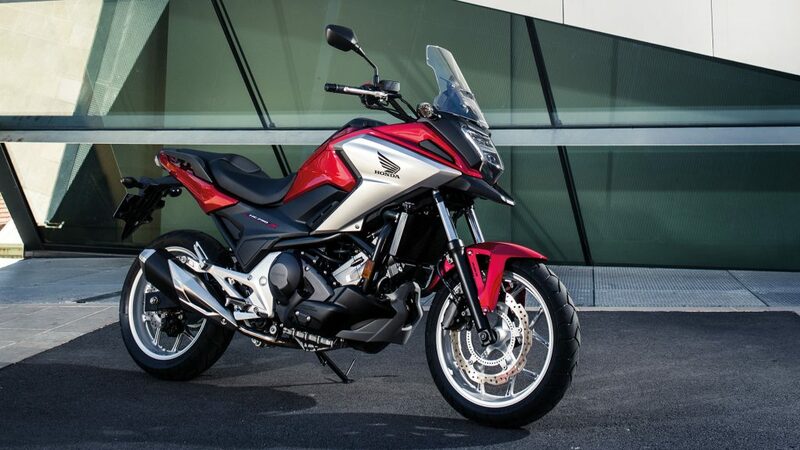 Equipped with a liquid cooled, 745cc SOHC parallel twin engine, chain final drive and tires with an aggressive tread pattern, the NC750X is a nicely engineered piece of hardware. I’m really excited to see DCT on motorcycles and in particular on ones that are off road capable. The difference between an automatic transmission and the DCT is that there are 6 speeds and two clutches in the DCT used to transfer power to the rear wheel using two separate input shafts. Because there are two clutches it also means there’s no torque converter. It’s fascinating how these transmissions work so seamlessly while shifting gears. One input shaft has the even numbered gears on it (2, 4 and 6)) while the odd ones (1, 3 and 5) are on the second input shaft. Each shaft has its own clutch which is engaged or disengaged by the computer system using a combination of electronic solenoids and pressurized oil. When the driver selects Drive on the handlebar control, the computer engages first gear on the odd numbered input shaft, but not the clutch until the driver twists the throttle. Power from the engine only gets transferred to the rear wheel when one of the two clutches is engaged. Once the bike starts moving forward and rpms come up, the computer engages second gear but doesn’t engage the clutch for the even numbered input shaft until a preselected rpm is reached. At that point it disengages the clutch for first gear and seamlessly engages the clutch on the input shaft for second gear. If rpms continue to rise it will pre-select third gear but also be ready to down shift back into first gear if rpms fall off. It’s a bit like having The Amazing Kreskin in charge of shifting your transmission the way it reads your mind. Computers are faster and smarter than any rider in doing this so the net result is a much faster and smoother shifting transmission, better launches off the line, and improved fuel economy. Each time a shift happens you’ll hear a small “click” noise come from the transmission below you and the shifts are all smooth and perfectly executed. There’s a Sport mode that can be selected which will allow rpm to rise higher before the computer shifts gears giving a rider a more aggressive riding experience. Riders can use two buttons on the bars at any time to manually override the automatic shifts and do things their way. While I was riding a DCT bike I found there was rarely a time when I wanted to do the shifting because the bike was set up so perfectly by Honda. It was a little awkward at first for me (since shifting a bike is instinctual after doing it for over 20 years) and I found myself reaching for the non-existent clutch lever a few times, but after about 10 minutes I was totally used to it and head over heels in love. No foot lever on the left side to worry about either- just buttons on the bars if you want them… nah! Unfortunately the NC750X isn’t suited for any serious off roading even by adventure bike standards due to the rims it comes with. They won’t endure any kind of really rocky, rough roads beyond basic dirt and gravel for that reason, but it will accommodate leaving asphalt to some degree. Having this DCT in an off-road setting would be BEAUTIFUL! When on rough ground or hill climbing it’s easy to stall a bike if you aren’t controlling the clutch carefully and choosing the correct gear to match quickly changing terrain. That’s all elementary with a DCT because it chooses the perfect shift point based on engine rpm and even according to the angle of the incline the bike is on! It can sense if you’re riding up or down a hill and will downshift sooner for engine braking on a downhill or to find more torque going uphill. I’m convinced this is the future of dirt bike transmissions (especially in enduro racing). The DCT does add some unwanted weight to a bike over a manual transmission (which won’t be popular with racers), but once they realize the benefit of concentrating only on the terrain instead of engine management, I’m more than sure they’ll go for it. I took the opportunity to wander back to the service department and get the straight goods from some Honda mechanics at my local dealership about problems with DCTs. Surely a sophisticated, new technology like this would have some bugs in it, right? Nope. It’s been around since 2009 in fact, and the techs I spoke to said there’s virtually nothing beyond the occasional oil leak to talk about when it comes to the DCTs. Wow. Electrics are the only true automatic bikes on the road since they have one single speed or gear set that is controlled entirely by the amount of electrical current flowing through the electric drive motor (instead of mechanical energy through a transmission full of gears). They also are zero emissions vehicles since they have no exhaust system, but I suppose some emissions are still attributable to them because they are recharged with electricity that often is produced through methods which do emit pollutants. A few years ago I test drove the Harley Davidson Livewire. It’s a concept bike Harley toured around North America for a few years to introduce the idea to the public and gauge interest. It was very different than an internal combustion engine bike: very quiet while rolling down the road, and the power delivery to the ground had zero lag time. I’m told that electric bikes have a certain amount of delay purposely built into the “throttles” to slow down power delivery, If not so, most often the bikes would accelerate so quickly off the line it might throw riders off them. While HD is still working on their full electric offering several other manufacturers are already in full production. Case in point, I just read about the current electric superbike champion for top speed among production bikes and the numbers are impressive! The Lightning LS-218 hit a top speed of 215.96 mph setting a new world record recently. That gives you an idea what these machines are capable of. Furthermore, unlike gas powered superbikes that are geared and tuned to “spit fire” and run the best at wide open throttle for racing applications, these electric bikes are totally civilized at low speeds because they only go as fast as you ask them to with the throttle. 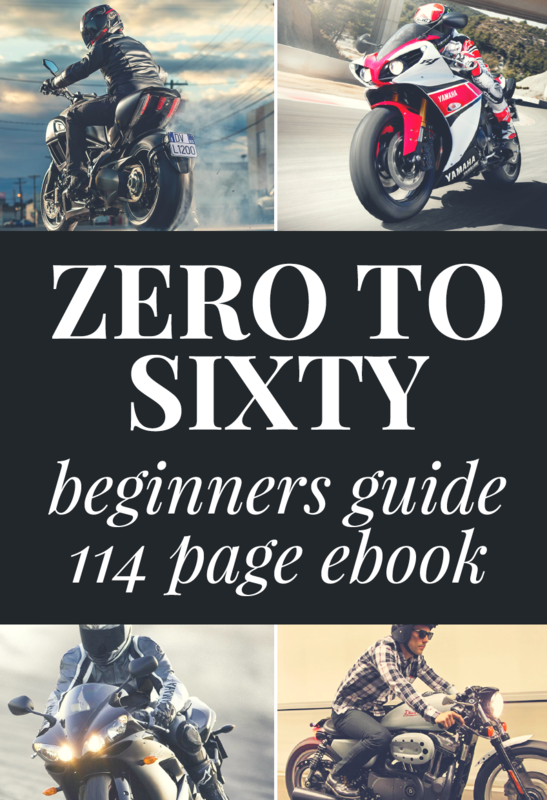 Zero Motorcycles, based in Scotts Valley California, has been building fully electric bikes since 2006 and offer a beginner friendly option in the S ZF13 model. Cost to drive away one of these babies is $13,995. The “S” is a streetfighter styled bike with a sporty riding position giving it excellent handling when combined with fully adjustable Showa front and rear suspension. Bosch brakes are regenerative, so while you brake the wheels spin small generators to help charge your battery and supply more drag to stop sooner. 32 inch seat height should make it usable by almost anyone, even if you’re vertically challenged. 45 kW at 5300 rpm is equivalent to 60 hp coupled with 81 ft lbs of torque. Coupled with its mere 408lb weight that adds up to a power to weight ratio of 0.147 : 1. It features a clutchless direct belt drive system so owners enjoy a low maintenance, zero lubrication lifestyle… priceless! Not to mention that this bike rolls around in almost complete silence as generally all fully electric vehicles do. It’s a little weird to experience at first. The Z-Force Lithium Ion 13 kW power pack has a decent range of 161 miles in the city or 81 miles at sustained highway cruising speed (70mph). This would be in economy mode while riding in sport mode will cut that down even more either in town or on the highway. Recharging time with a standard 110V outlet is a brutal 8.9 hrs to 100% but if you opt for the charge tank accessory that cuts it down to a more reasonable 3.4 hrs. There’s also a “max accessory charger” that will top it up in just 2.6 hrs. 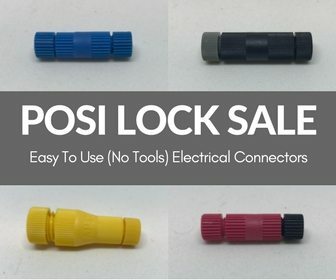 If you can access a 220V outlet that should speed things up as well. That’s an interesting difference with electric bikes to consider: their battery’s charge will last longest when driven in the city at lower speeds. It’s the opposite of gas powered motorcycles, which run longer (read: are more fuel efficient) at sustained highway speeds. If you’re primarily an urban biker these electric offerings make a lot of sense that way. Claimed lifetime for the power pack is 362,000 miles, but bear in mind the pack slowly loses capacity over time as it’s recharged over and over. So you may be able to get that many miles in total over its lifetime, but you’ll have to recharge more and more frequently as time goes on and capacity diminishes. 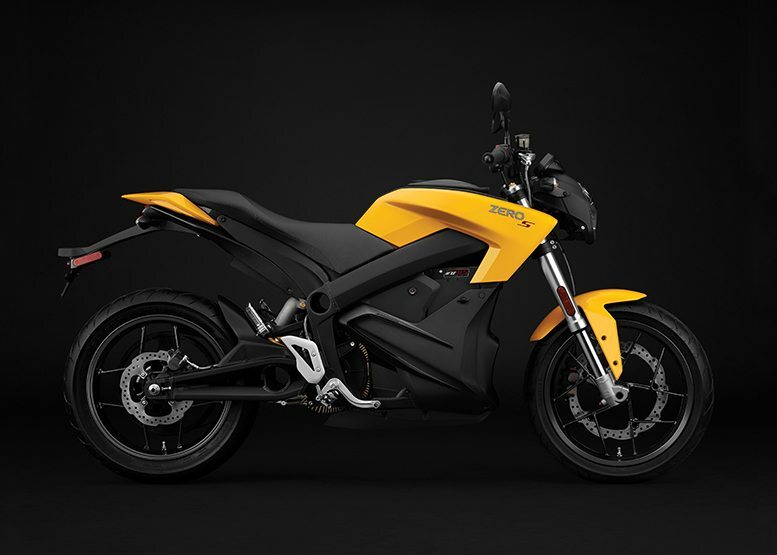 Zero offers a 5 year/unlimited miles warranty on the power pack and 2 years on the rest of the bike. Check out this great video made by Youtuber Harley Dave on the 2016 Zero S to see it in action. He is taken by surprise by the torque and quiet driving Zero S, but doesn’t care for the sporty seating position. 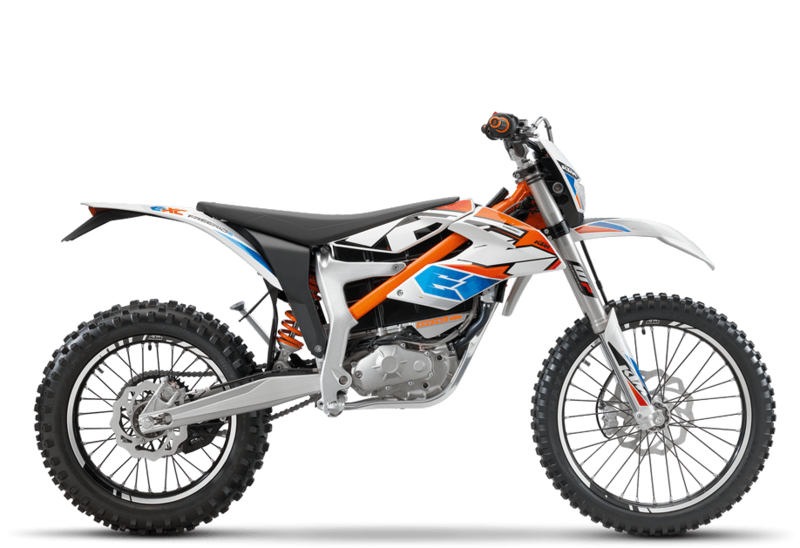 KTM is the undeniable builder of the best quality off road enduro bikes on the market today. They are masters at putting power to the ground and making suspension that gobbles up rough terrain. I was thrilled to hear about the KTM Freeride E-XC dual purpose electric model they’ve come out with because I was sure it would be on par with everything they build and have incredible torque all electrics offer on top of everything else. As I expected, this bike lives up to the KTM reputation. It’s excellent on tight and twisty trails – running around like the roadrunner – and does very well indeed over rough terrain. The fully adjustable suspension (front and back) doesn’t quite make it motocross-capable for taking huge jumps, but it’s a good little off road machine to play with all the same. It would also be excellent in an urban setting for someone whose lifestyle revolves around the concrete jungle. Super nimble and maneuverable, it will flash through busy streets effortlessly and put a grin on the rider’s face while doing it. There’s also a SuperMoto model of the bike available if you plan on keeping things mainly on road. Only having roughly an hour of power to play with is a bit of a drag to say the least and needing a 220 volt power supply is even more so, but there are options to get around these annoyances. At home you easily can have an electrician install the 220 outlet where you need to charge the battery, and if you need to transport the bike by truck from home to ride off road you can purchase and bring along a second power pack and/or a portable generator with a 220 outlet on it for recharging. However, a second power pack will set you back a whopping $3,600… ouch. At least it’s really quick to change out as you can see in this video. The rear brake controller has been relocated to the left handlebar where the clutch lever usually lives. Since there’s no clutch on this bike I guess it only makes sense, but to some people it’s frustrating to not be able to control the rear brake with their foot. In this video by YouTuber Lightemup2005 you can see how easy it is to wheelie this bike. He showcases the top speed and torque quite well of the different models. 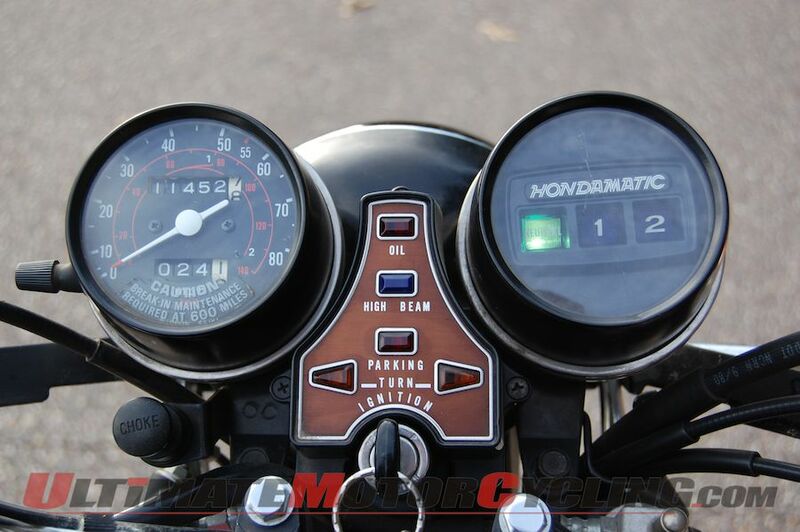 You also can see the battery life monitor just below the handlebars and the power level indicator. In this video Joel Sterling shows us how it does off road and goes over the features of the bike including start up. I think the future is going to be so interesting to witness as we face the gradual evolution of bikes away from manual transmissions and eventually even from internal combustion engines. I’ll definitely miss hearing the rumble of a big Harley V-Twin, but honestly after trying out bikes like the electric Harley Livewire and the Honda DCT, I’m liking the idea of ownership a lot and I’m not the only one. I spoke to a local motorcycle driving instructor about his new DCT equipped Honda Africa Twin and how much he is in love with it. Being able to leisurely putt alongside his students without constantly grabbing his clutch lever or fiddling around with the gear shifter has made his job noticeably easier. He never would have predicted having that kind of luxury until it just came to him. The mechanic I spoke to at the local Honda Dealership told me that his off road riding improved dramatically thanks to DCT as well. He did switch back to a manual 6 speed bike this year, but since the switch has found himself missing the DCT- he now plans on going back to the DCT next year. Picture the day – who knows exactly when – that you will ride your purely electric motorcycle all day long and not have to worry about the power pack because the whole outer surface of the bike will be covered in solar panels so efficient that they will keep the battery at full charge even when it’s cloudy. Imagine a power pack so small and light that bikes become half the weight they are now and so perform better and better. It’s coming, and I think it’s not very far off. I don’t think we will ever witness flying bikes, but then again I’m not willing to rule it out completely. I wonder if Honda is working on that one yet?